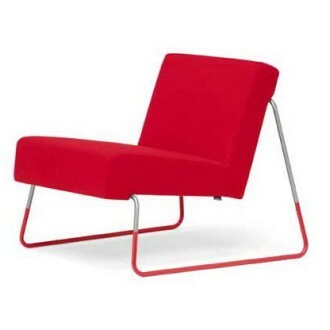 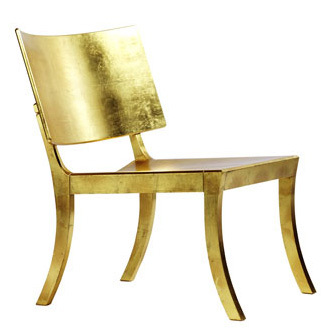 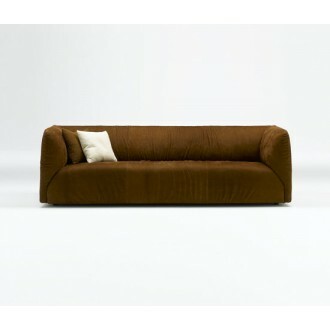 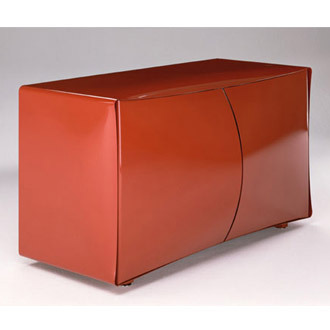 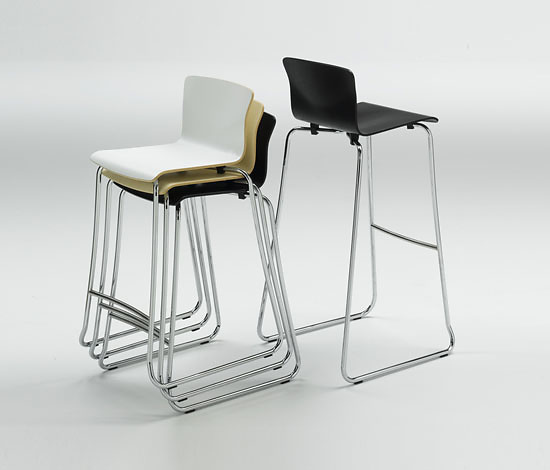 This project was born from the need to complete De Padova proposal with a stool for home or public areas, in line with the rest of the collection. 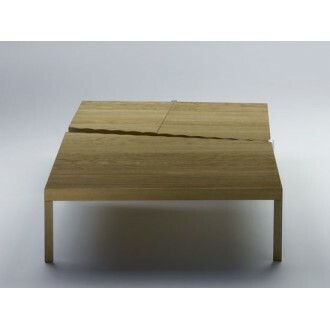 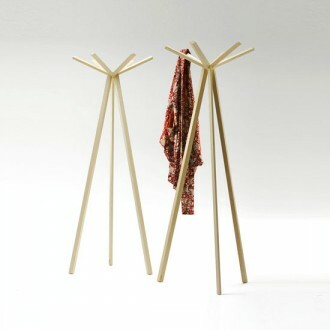 Two heights, and three colours: natural maple, white laminate and wengé-stained oak. 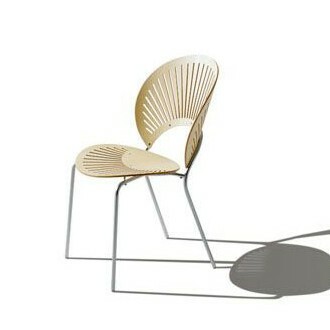 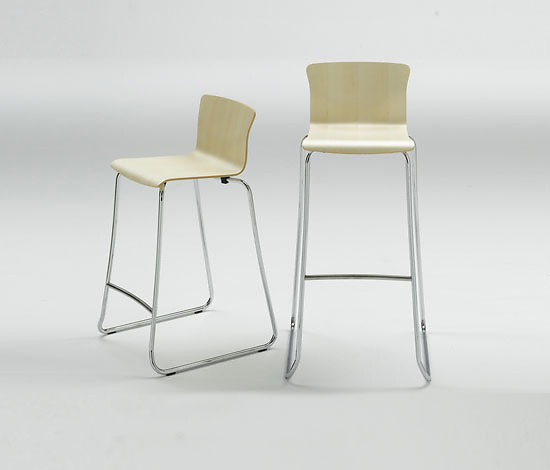 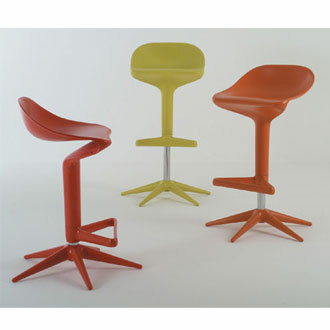 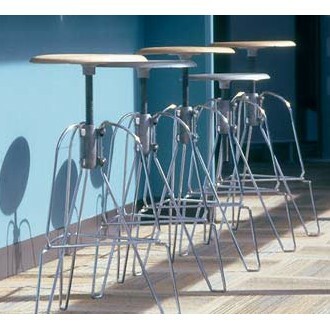 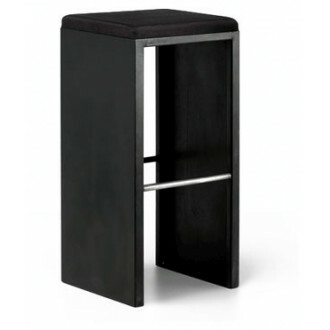 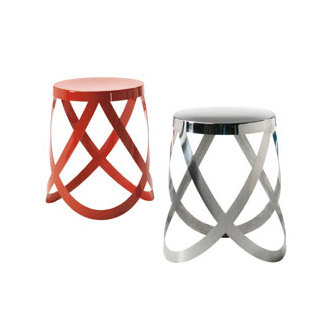 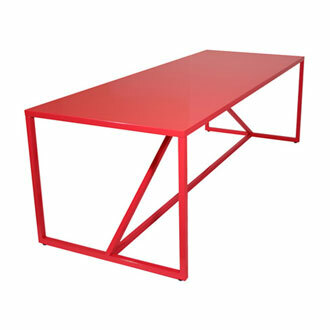 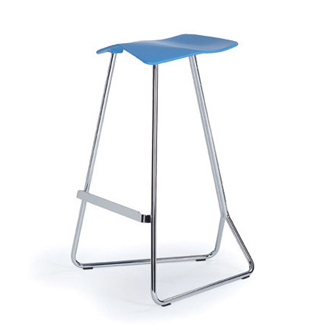 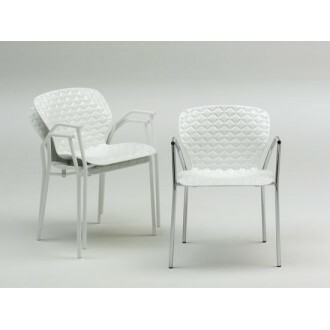 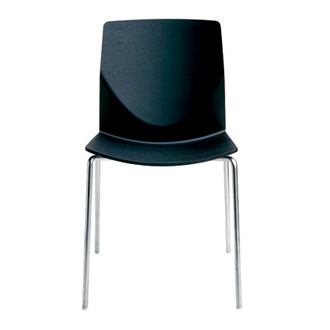 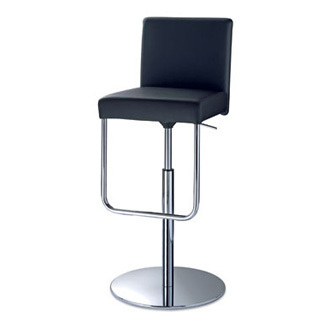 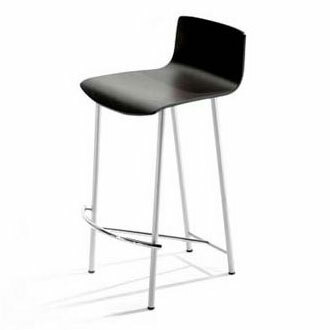 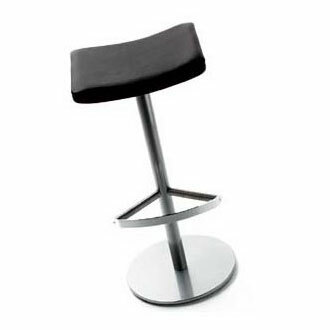 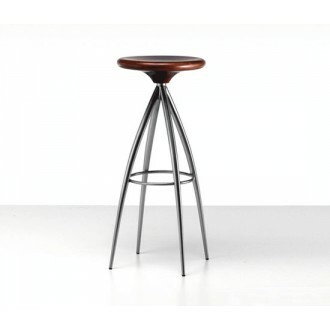 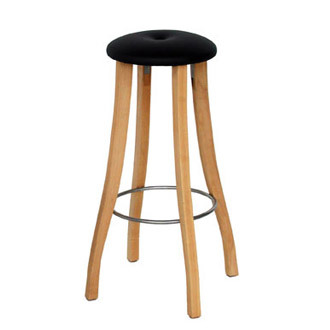 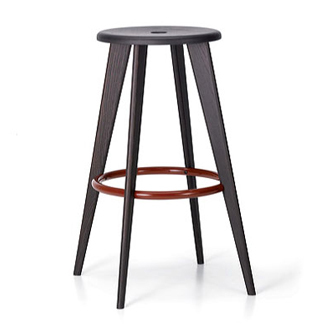 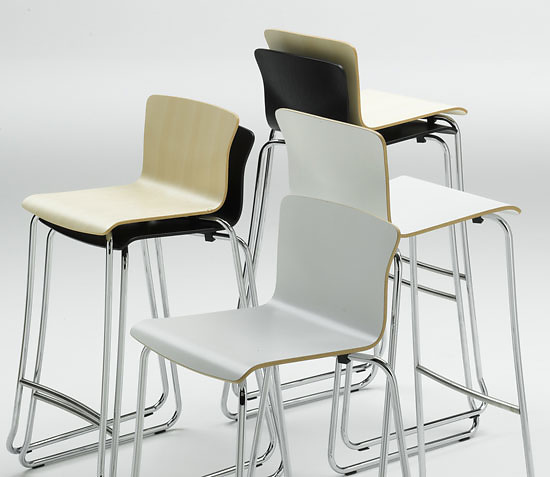 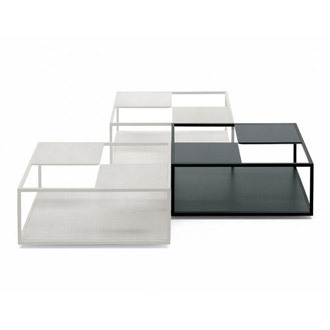 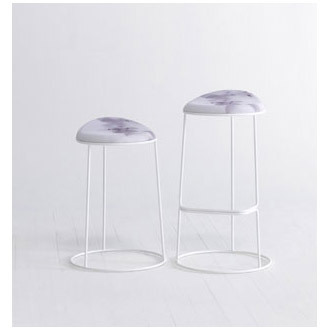 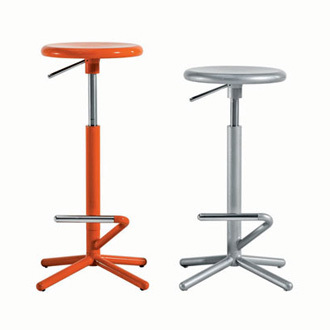 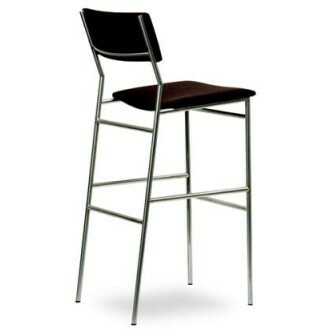 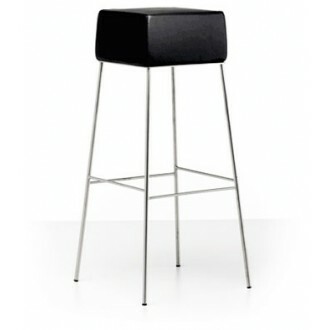 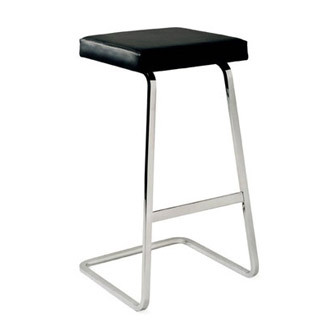 The special structure in polished chromed steel, with inox footrest, makes the stool stackable.